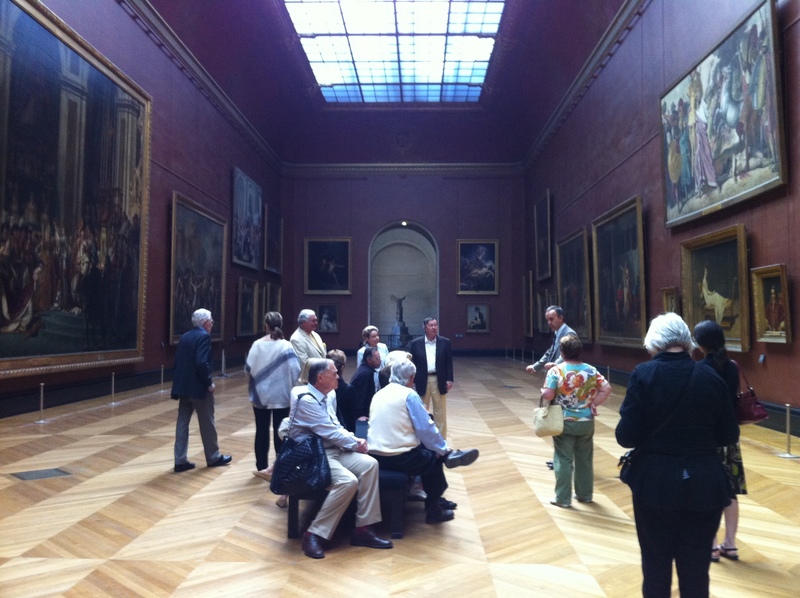 In May, Olivier Meslay, Interim Director of the Museum—and a former chief curator of the Louvre—led a group of eighteen DMA Donor Circle members to Paris for an “insider’s tour” of the city. As you all may know, it’s hard to have a bad time in Paris, especially in the gorgeous spring. Here are just a few of the highlights. 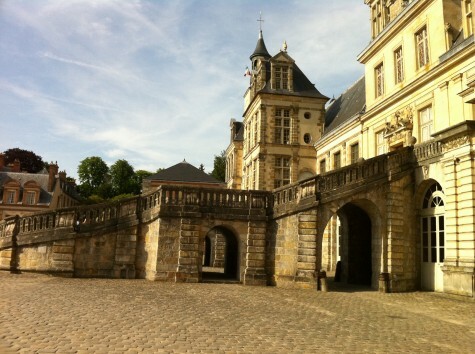 The trip began with a visit to the Château of Fontainebleau, where the group had a special tour with chief curator Vincent Droguet that included a stop at the stairs where Napoleon gave his farewell address before being exiled to Elba. 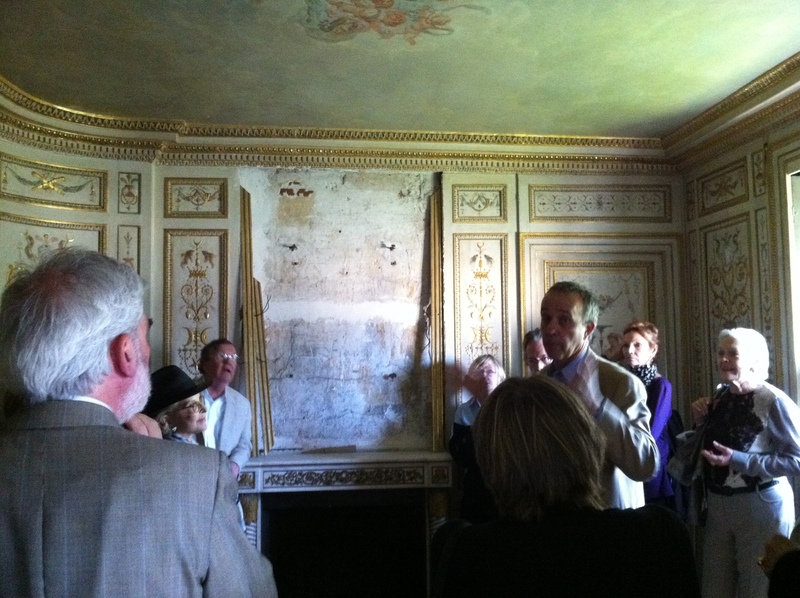 We were also able to visit one of Marie Antoinette’s private cabinet rooms, which is not open to the general public. Climbing several narrow, winding sets of stairs, Vincent led us into a small private room where the queen used to retreat from the demands of royal life with just one or two companions. 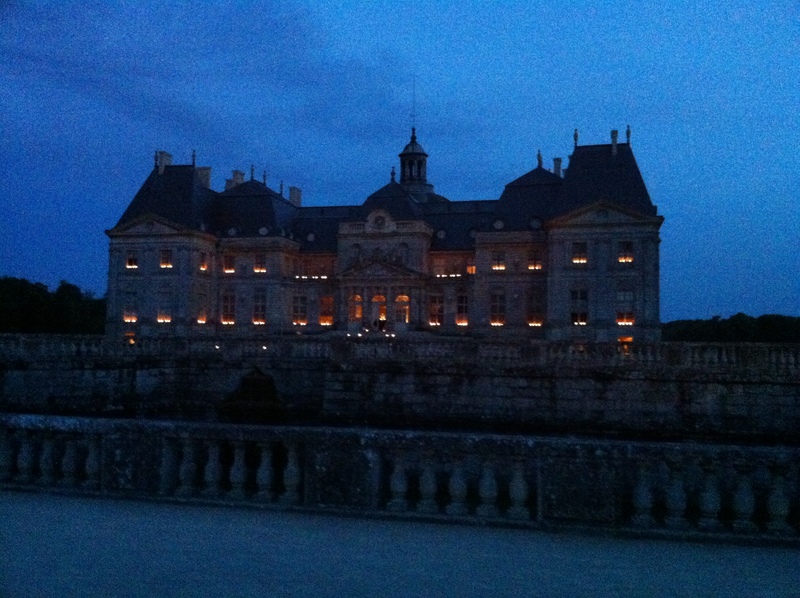 When we visited Vaux le Vicomte, another château in the countryside, it was lit by candles for a beautiful and dramatic evening, which included fireworks in the garden. 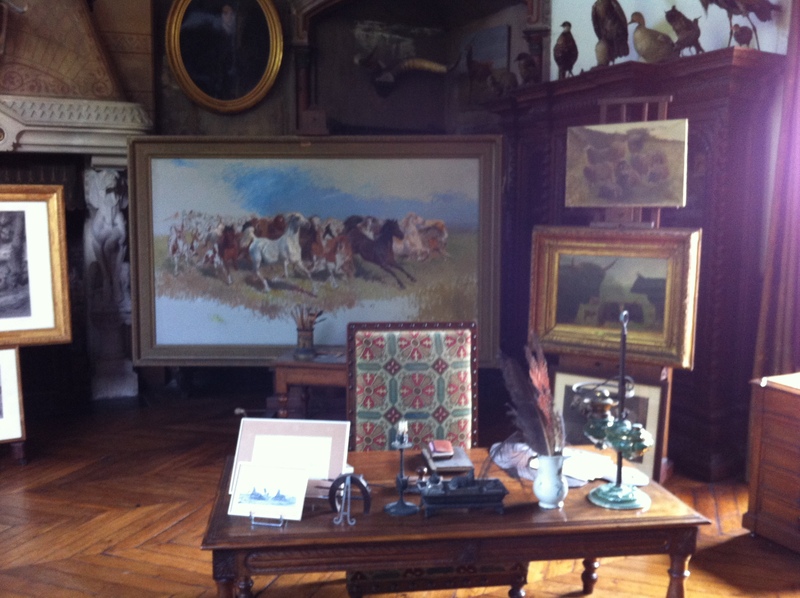 The studio of Rosa Bonheur, which is a private museum still managed by her family, was a special stop. I love her work, and the DMA will soon acquire a Bonheur painting, which made this visit even more special. Her unfinished final painting hangs on an easel in her studio. And her stuffed parrot still resides in her bedroom (a little worse for wear). The high point of the trip has to be our visit to the Louvre. 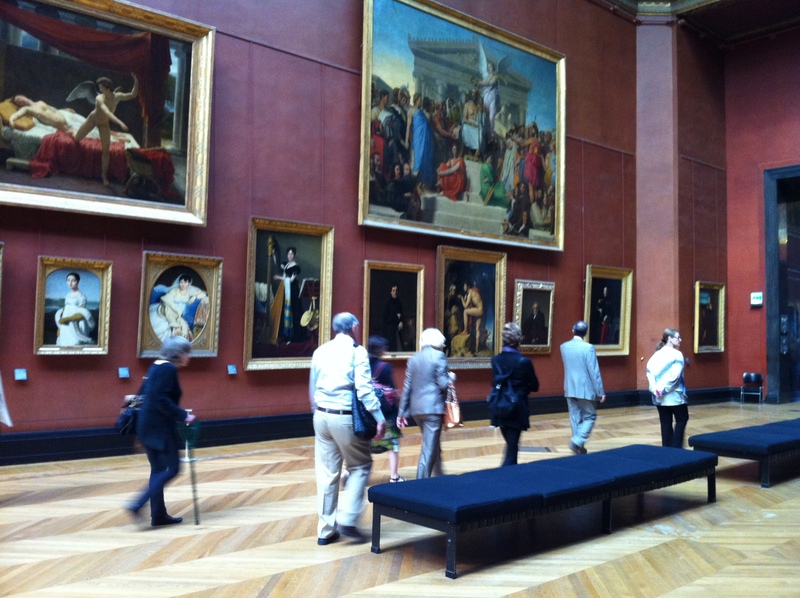 We arrived very early in the morning, before it got crowded, and Olivier took us through the Grand Gallery to view some of the masterpieces of 18th- and 19th-century painting. During his sixteen-year tenure at the Louvre, Olivier held a number of senior positions before coming to the DMA in 2009 in the joint position of Senior Curator of European and American Art and The Barbara Thomas Lemmon Curator of European Art. Being with him at his “old stomping grounds” was a once-in-a-lifetime experience! Another very special visit was to the atelier of Nicolas Marischael, a silversmith working in the center of Paris. Following in the footsteps of three generations of his family, Nicolas creates beautiful works of art, jewelry, and cutlery using old-world techniques and tools. Visiting his tiny atelier was amazing! 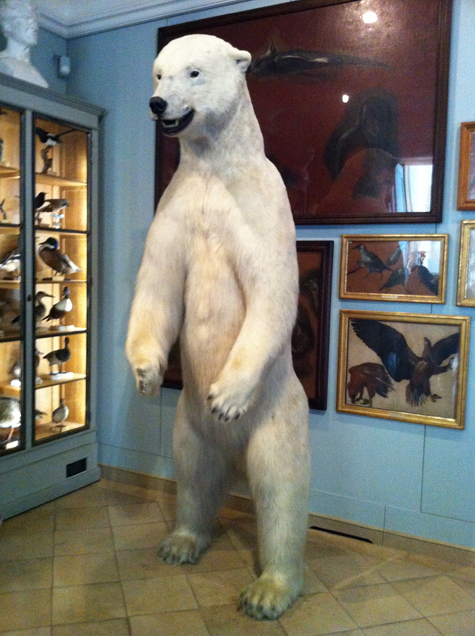 One of the last places we visited was the Musée de la chasse et de la nature (Museum of Hunting and Nature), where the director, Claude d’Anthenaise, has creatively displayed works of art that focus on hunting, nature, and animals.